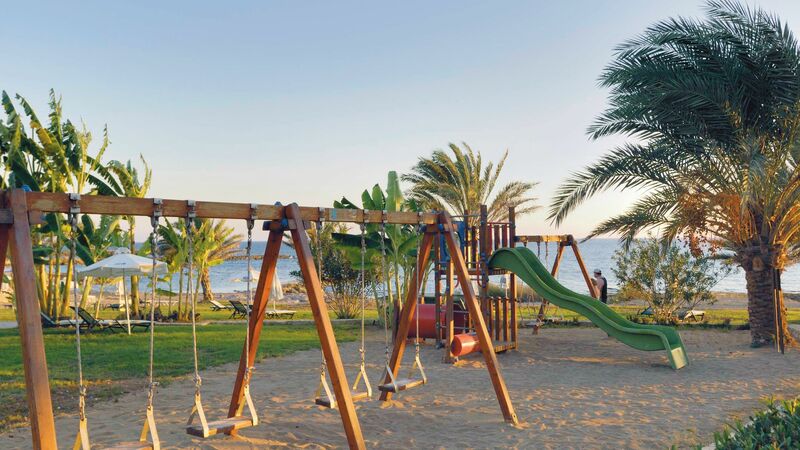 The Constantinou Bros Athena Beach Hotel has something for everyone, whether you want to relax and unwind or make the most of the activities. Located close to the harbour, shops and restaurants of Paphos, it’s perfect if you want to explore as well. 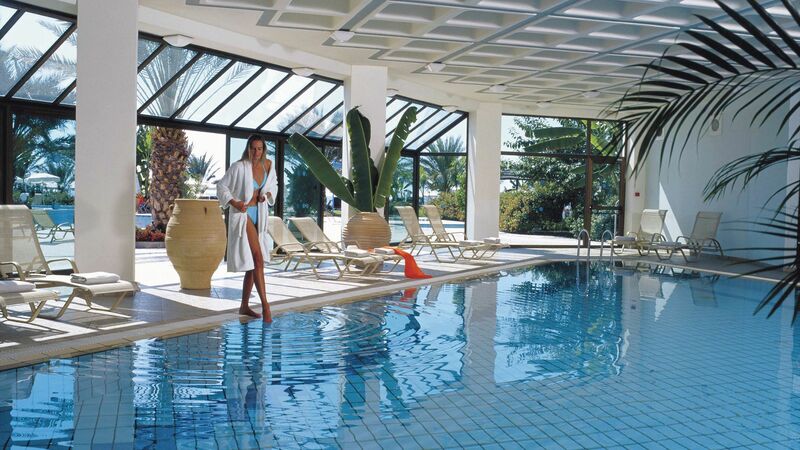 Each of the rooms is bright and airy, with views of the gardens and swimming pool or the Mediterranean Ocean. A range of dining options include Cypriot cuisine made with fresh local ingredients, as well as international buffets, Italian and much more. Relax with a drink after dinner and take in a live performance, or make the most of the gym. Bowls players will find indoor and outdoor facilities and there’s also tennis and mini golf. For families, large suites with sea views are available so the whole family can enjoy the space. All family suites also offer outside seating areas and exclusive cabanas. Buffet breakfast in the Atrium or Mediterranean buffet breakfast in Leda Restaurant until 10:00 (until 11:00 in a separate restaurant for guests in Superior Rooms and Suites). Buffet lunch or meals during the day in two restaurants. For additional lunch, snacks are available at the beach bar. Buffet dinner in the Atrium Restaurant or Table d'hote in Zephyr Restaurant or Leda Restaurant. Alternatively you may have a four course dinner from the a la carte menu twice a week in one of the four a la carte restaurants (if you are staying in a Superior Room or Suite you can eat in the a la carte restaurants as many nights are you desire, reservations required). On arrival mini bar stocked with a selection of non-alcoholic drinks, beer, water and a bottle of wine, daily replenishment of Coffee/Tea in the rooms. For guests of Superior Rooms and Suites, minibar also includes spirits, bottle of wine, daily replenishment of Espresso, bottle of water and guests will be offered 1 bottle of Champagne before departure. 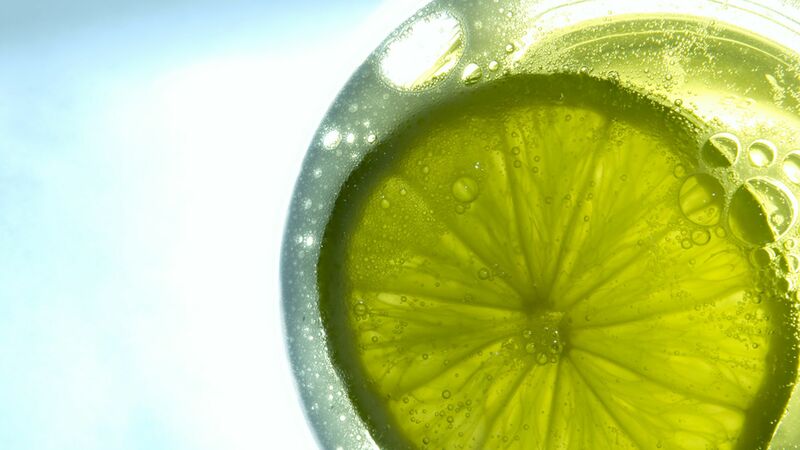 Local and international alcoholic and non-alcoholic drinks (excluding selected brands) in all bars and restaurants. Selected sports including table tennis and mini golf. Gym. Evening entertainment and daytime activities. For guests staying in Superior Rooms and Suites they also get complimentary access to the Sauna & Steam bath, use of safety deposit box, free wifi and VIP check in and late check out until 18.00 upon availability. 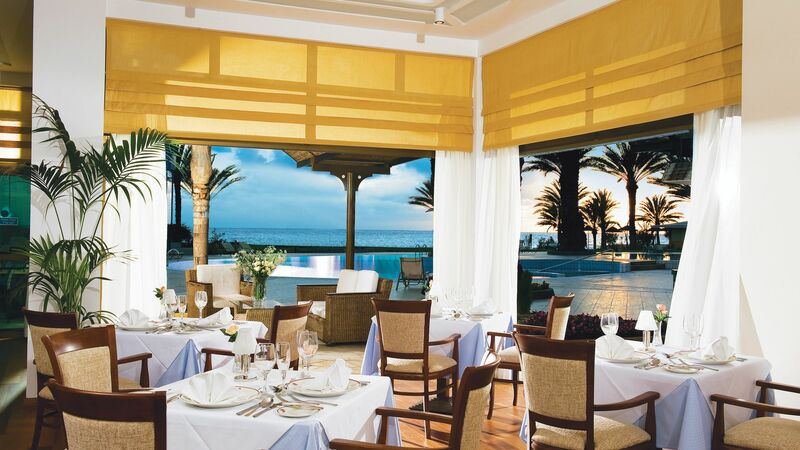 Located next to the swimming pool, the Adonis Restaurant is serves light lunches, snacks in the afternoon and a Mediterranean inspired dinner menu. The dinner dress code is smart casual. Men are required to wear long trousers in the evenings. 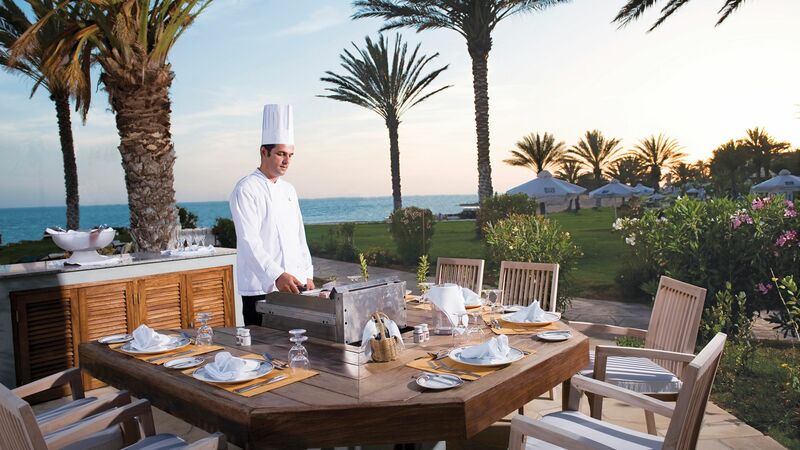 Dine al fresco as you overlook the Mediterranean and take in the pretty gardens full of palm trees. Choose from a la carte dishes in the evening. The dinner dress code is smart casual. Men are requested to wear long trousers for dinner. Choose from a range of Mediterranean options for breakfast, as well as light lunches and salads, drinks and Italian dinners. The dinner dress code is smart casual. Men are required to wear long trousers for dinner. Overlooking the hotel’s garden and swimming pool, choose from a la carte breakfasts and dinners. Choose from a menu of international options. Men are requested to wear long trousers for dinner. Breakfast is included for guests staying in Superior rooms and suites. Half board guests can enjoy a four course set dinner menu. Take in the views of the swimming pool as you enjoy al fresco cocktails, wines and beers. Themed nights, special events and shows are held throughout the week. Open during the summer and overlooking the soft sandy beach and Mediterranean Ocean, dine al fresco and enjoy a light lunch and large drinks menu. Enjoy a rich buffet for breakfast and a dinner menu full of Mediterranean, Italian, Asian and Cypriot options. 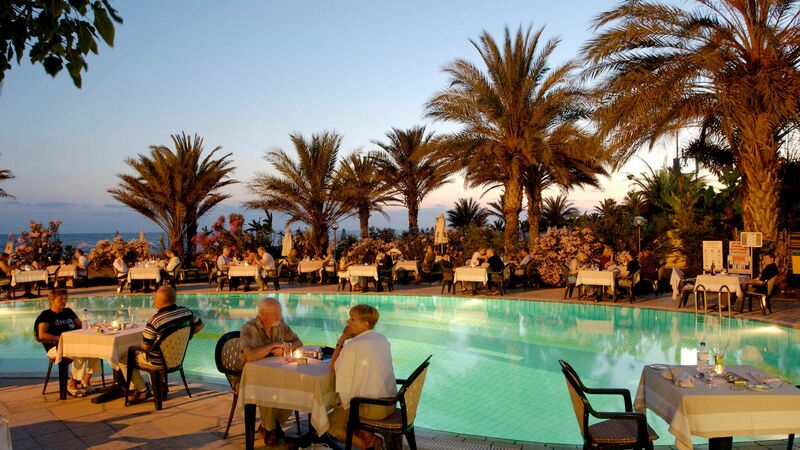 Set within the lush hotel gardens the Athos Bar is open seasonally and offers a range of light bites, snacks and delicious drinks. 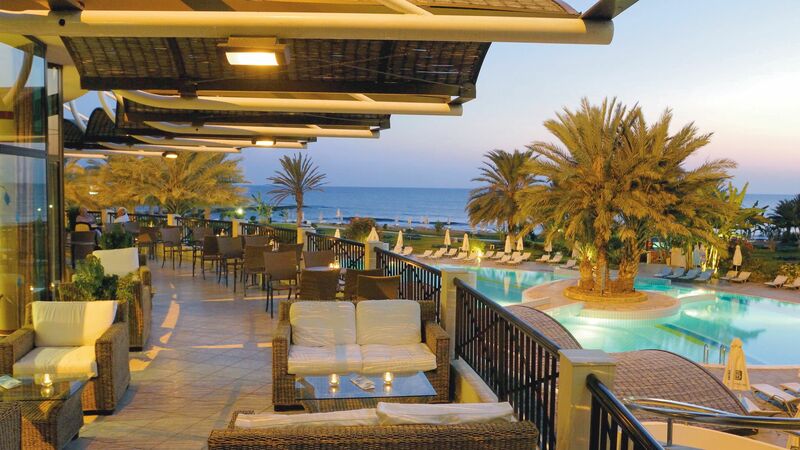 The golden sands of the beach are located right in front of the hotel, with sun loungers and parasols available. There are three large freshwater swimming pools, two paddling pools and an indoor swimming pool available. There is also a waterslide, perfect for children. The kids’ club will keep younger guests entertained throughout the day with a choice of games and activities. There is also a children’s playground. Choose from a range of therapies and treatments in the chic, modern spa. There is also an indoor swimming pool, sauna and steam baths. The air conditioned fitness studio has a range of cardio and weight machines to help you keep fit during your stay. Choose from a range of styles and treatments at the onsite hair salon with expert hair dressers keeping your hair shiny and well conditioned. Choose from a range of sports facilities at the Constantinou Bros Athena Beach Hotel, including indoor and outdoor bowls greens and tennis courts. The whole family will enjoy the mini golf course at the hotel, with fun holes and puts for even young children. 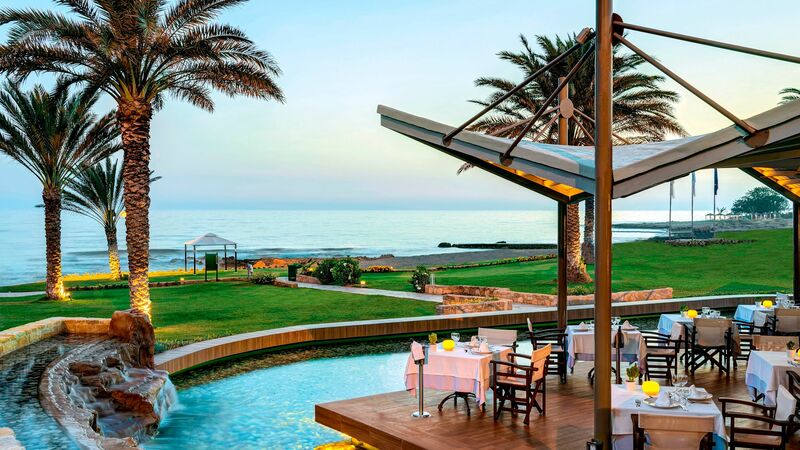 Located along Cyprus’ south west coast, the Constantinou Bros Athena Beach Hotel is close to all of the attractions and amenities of Paphos. 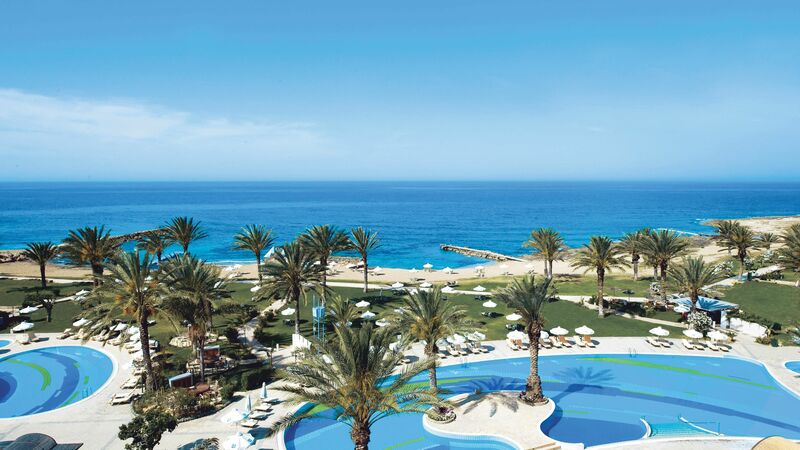 It’s ideally situated in a quieter area of the resort, with Paphos Airport nearby, making it ideal for families, couples and small groups. History lovers will find plenty to explore, including the Tombs of the Kings and Paphos Archaeological Park, where you will find ancient ruins. Foodies will love the many restaurants in Paphos, from the family run tavernas in the old town to the cosmopolitan choices in the lively harbour area. You’ll also find bars and cafés, as well as plenty of beachfront options to enjoy. 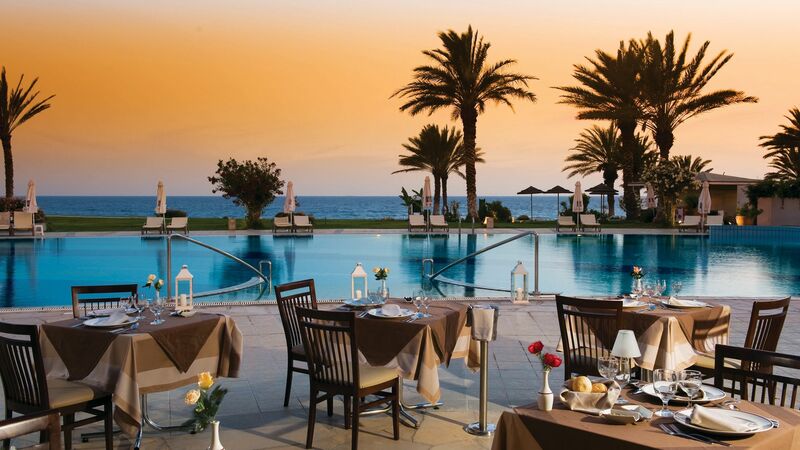 Constantinou Bros Athena Beach Hotel is a 15 minute drive from Paphos Airport. Twin Land View Rooms have air conditioning (May - October), flat-screen satellite TV, free Wi-Fi, telephone, ironing facilities, minibar (on request), tea & coffee making facilities, fridge, safe, hairdryer, bathrobes and slippers and a bathroom with rain shower. Twin Limited Sea View Rooms have air conditioning (May - October), flat-screen satellite TV, free Wi-Fi, telephone, ironing facilities, minibar (on request), tea & coffee making facilities, fridge, safe, hairdryer, bathrobes and slippers and a bathroom with rain shower. Twin Sea View Rooms have air conditioning (May - October), flat-screen satellite TV, free Wi-Fi, telephone, ironing facilities, minibar (on request), tea & coffee making facilities, fridge, safe, hairdryer, bathrobes and slippers and a bathroom with rain shower. Superior Rooms Land View measure 25m² and have land views from their balcony. Additional facilities include free Wi-Fi and an espresso machine. Guests staying in a Superior or Suite room category will receive the following Elite Class benefits; Exclusive VIP check in with welcome drinks and cold towels, fresh fruit and wine upon arrival, luxury bathroom amenities, dedicated exclusive breakfast room until 11:00, upgraded premium package benefits including unlimited choice of à la carte restaurant dining, free access to the sauna and steam bath, complimentary late check out until 18:00 (subject to availability), 10% discount on selected golf courses and free use of Bowls Greens (subject to availability). Superior Rooms Sea View measure 25m² and have sea views from their balcony. Additional facilities include free Wi-Fi and an espresso machine. Superior Duplex Sea View Rooms consist of two separate Superior Rooms Sea View Rooms sharing a common entrance. Superior Deluxe Terrace Rooms measure 25m² and have sea views from their terrace. Additional facilities include free Wi-Fi and an espresso machine. Junior Suites with Private Pool Sea View are more spacious and enjoy a private pool, Jacuzzi® bathtub and sea views. Junior Suites Duplex Sea View Private Pool consist of two separate Junior Suites sharing a common entrance. Family One Bedroom Suite Sea View have a sitting area and sea views and use of a private cabana on the beach with a seating area and sun beds. Executive One Bedroom Suites Sea View measure 52m² and have sea views and the use of a private cabana on the beach with a seating area and sun beds. Two Bedroom Suites Sea View measure 78m² and boast a spacious terrace with stunning sea views, DVD player, free Wi-Fi, complimentary safe, espresso machine and deluxe toiletries. Guests staying in these room types will also receive the use of a private cabana on the beach with a seating area and sunbeds. Save up to 10% discount on the hotel price for holidays between 01 June - 31 August 2019 booked by 31 May 2019. Guests receive free upgrade from full board to premium all Inclusive for stays for holidays between 03 - 27 February 2019, 01 - 19 May 2019, 10 - 24 July 2019 and between 24 - 28 August 2019 with a minimum of 4 nights stay. Free use of the bowls greens (subject to availability). Children between the age of 2 - 11.99 years staying in their own Standard or Superior room receive 20% discount on the hotel price when accompanied with two full paying adults for holidays between 01 May - 31 October 2019. Save up to 10% discount when stays of 22 nights and over for holidays between 01 November 2018 - 30 April 2019. Available at this hotel please call our trusted advisers for further information. Group offers are available at this hotel, please call our Trusted Advisers for further details. We visited in March.... not too crowded. The whole area (hotel and gardens) are maintained to an immaculate standard. Staff were very helpful. Meals plentiful and varied. Just loved it....... and the area. Great to be able to walk along the beach path to Paphos. Well where on earth do I begin? Athena Beach Hotel.. Its honestly disgusting, it is not clean at all.. The cleaners are nice enough but I have spoken to other guests who said that things in their apartment had went missing. The staff in the restaurants need to learn how to smile, in fact maybe get more staff as they are all over worked and the pay the restaurant and kitchen staff recive is utterly disgraceful. The minimum salary per hour is over ?? ?8, these people are working away from their families and you treat them like slaves, this is all staff! You need to start looking after your staff as there is such a high turn over of staff, luckily the girls on the animation team, they are real. They tell you what it's like, and they tell you what happens, the animation team should have better clothing as their uniform is far to heavy for the heat in the summer, the poor gilrs are sweating constantly as they are in cotton poloshirts!!!! That's ridiculous and also the food is utterly disgusting the food is not fresh and taste frozen the way that the foot is presented is not bad but the quality is not 4 star. The price of the hotel is crazy for what you receive.. Its just not living up to the stars of the hotel. F****ing shameful. Fantastic hotel. Facilities for young and old. Good choice of restaurants but only thing that would make them better is to have more selection of food for vegetarians and vegans. Rooms are fantastic on the Elite package. Only point to note is that the rooms beside the Nectar bar, where the entertainment is held, are too close. Every beat from the amp is felt in the rooms. Either turn the noise down or soundproof the room more. “ The hotel is terrible, I have lost my money! Apparently the hotel is a minus, they have spoiled my holiday and I have lost my money! The price is bad as the rooms, this hotel is old, smelly, noise and dirty. The staff is exhausted and the truth is, that they don't care about guests, do you really think they care about you? What a funny mistake. The ladies from Guest Relation can hardly speak English, they can speak only Greek (they can't speak German, they can't speak Russian, they speak only Greek! ), that's funny. But this is unacceptable, this is the most horrible hotel ever. It's always a good idea to research the hotel you are thinking of booking for your next trip. Reading reviews tells you what to expect in terms of the service- and this is a HILARIOUS BAD HOTEL. The owner is the worst person to speak to. I was so disappointed. The wifi is pretty bad, the bathroom is tiny and the elevator is dangerous (I was injured in an elevator accident!). What's more, this is very bad image for Paphos, which is in no need of such crap hotels, especially at these hard times ;-) Cheers! Lovely and clean rooms. A little dated but very comfy. Bed very comfy. Excellent location next to the beach with plenty of sunbathing areas and loads of sunbeds Only stayed bed and breakfast but the breakfast was great. Lots of choice of hot and continental plus fruit. Stations for cooking omelette pancakes eggs etc. There are lots of repeat guests and we will go again too.